Isaac “Royal Storm” Dogoboe has signed a four-yeal deal with Top Rank, a professional boxing promotion company owned by highly renowned promoter Bob Arum. The long term co-promotional agreement, would see the 23 year-old Ghanaian boxing champion feature in big-scale undercards and super fights considering the perdigree of his new promotion outfit. 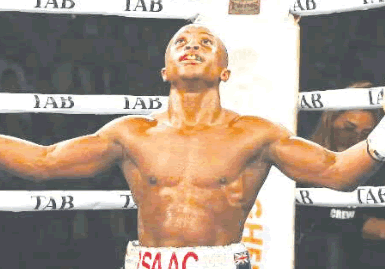 Paul Dogboe, trainer and father of Isaac Dogboe believes this partnership would help propel his son to greater heights in the international boxing circles. “We have signed a new four year deal with Top Rank. 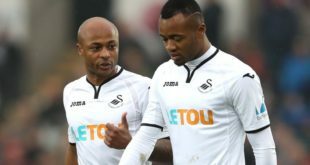 They have managed and promoted the likes of Joe Fraizer, George Foreman, Manny Pacquiao, Mayweather, among many others and even with our boxing icon Azumah Nelson and we see this partnership as a step in the right direction considering how far we have come. “We have done our best in reviving local boxing, but now we have to go international and do more because the crowd always loves Dogboe’s style of boxing,” Snr. 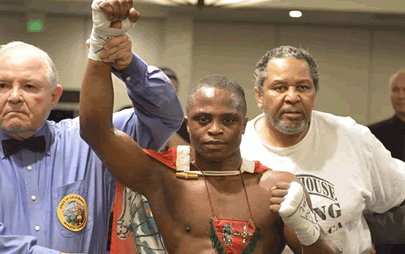 Dogboe told GNA Sports. Dogboe after his ruthless display against Japanese boxer Hidenori Otake back in August would make a comeback into the ring on December 8, as an under-card to Vasiliy Lomachenko-Jose Pedraza unification bout at the Hulu Theater in Madison Square Garden, New York.